All appropriate Chapter Leaders in the BHS Member Center are authorized to download chapter level roster data. Utilizing your Username and Password will activate your permissions as a Chapter Leader. If you are not listed in the Member Center as one of the roles listed above, you will not be able to access the information. 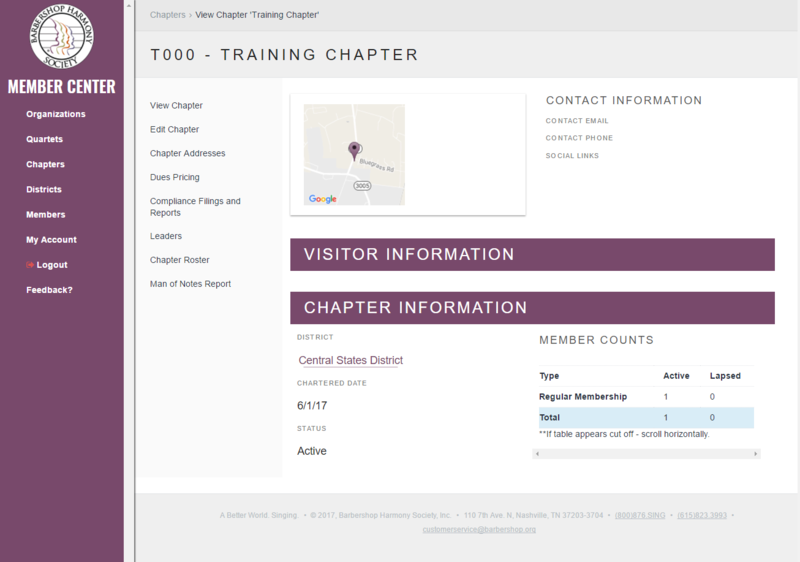 Your chapters should display, click on the chapter in which you want to view. 3. Click on the Chapter Roster option towards the left-hand side. 4. A Member Type Summary, as well as an Active Member Roster, will display. 5. If you'd like to download a chapter roster in an MS Excel format, you can select the Download Button towards the right-hand side. 6. To switch and view Former Members select the Switch to view Former Members button towards the right-hand side. You also can select the Download button to download that particular roster in an MS Excel Format.